These directions are for the Instant Pot electric pressure cooker. Put the contents of the seasoning packet, pickling/corning spices and bay leaves in a large tea ball or in a cheesecloth bundle. Place in bottom of the inner pot. Rinse the corned beef to remove blood and gel. Cut corned beef in half and place in pot on top of tea ball. Add enough water to just come up to top of corned beef. Lock the lid in place. Set valve to sealing. Select Manual, High Pressure and set for 90 minutes. When beep sounds, unplug pressure cooker. Allow a natural pressure release for 10 minutes, and then quick release. When pin drops remove lid. Corned beef will be very tender. Using two large forks carefully remove corned beef from the pot. 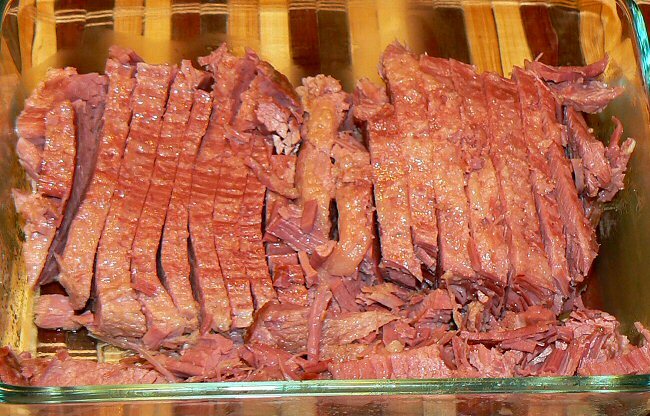 Cover the corned beef until ready to serve. Add the potatoes and cabbage to the liquid in the pot. Lock the lid in place. Set valve to sealing. Select Manual, High Pressure and set for 3 minutes. When beep sounds, unplug pressure cooker. Use quick release. When pin drops remove lid. 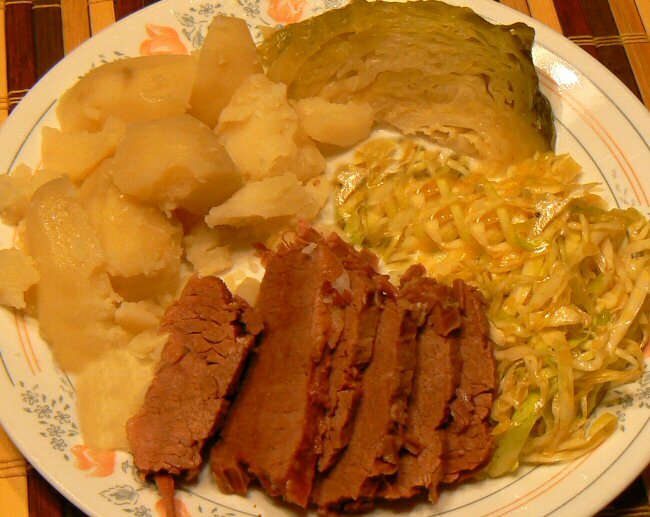 Check the potatoes and cabbage; if not tender enough, select sauté and adjust to boil. Cook until they’re the desired tenderness. My pictures are not the best.